When you’re on a web page that you would like to save and want to go back at some point in the future, you save it as a bookmark and it will add it to your bookmark list. There are several ways to add a bookmark to your Firefox Bookmark list. Click the Bookmark menu at the top of the browser and click Bookmark This Page. 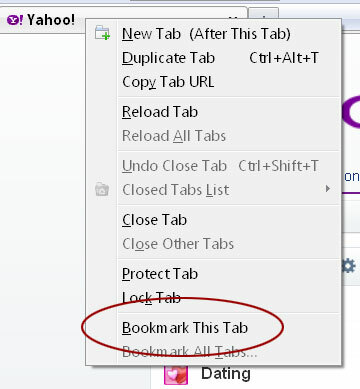 Press the CTRL + D (Command + D for Max) at the same time and the Bookmarks window will open. Right-click on the tab for this page and then left-click Bookmark This Tab.